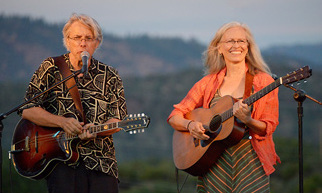 Support Lexington Community Farm to the sound of live music served up by legendary fiddler and multi-string master Darol Anger, standout vocalist and guitarist Emy Phelps, and friends. Feast your ears and help Lexington Community Farm grow. Starting the set is Arlington’s own Fiddlin’ Quinn and His Big Folks Band. A prodigy on the fiddle, Quinn has been playing, singing and wowing audiences since the age of 5. Purchase tickets online ($31 each) and check in at desk inside the main door. No paper tickets will be issued. Doors open at 2:30. A reception will follow in the Parish Hall. Purchase tickets online and check in at desk inside the main door. No paper tickets will be issued. Please consider adding a donation to Lexington Community Farm to your shopping cart when you purchase tickets. This donation is tax- deductible. You can find directions to the church here. There is a parking lot behind the church and street parking near the church. Parking is also available a short walk away within Lexington Center. You can view a map of parking locations here. Visit the event’s Facebook page for up-to-date information about the concert. The Lexington Community Farm Board would like to thank Darol and Emy as well as Rip Jackson and the Lexington First Parish Church for their contributions to this event. A collaboration of 2 unique and deeply affecting musicians. Legendary fiddler and multi-string master Darol Anger focuses his talents on the singer-songwriter’s art with Emy Phelps, a standout artist and prolific songwriter with a riveting voice which plumbs the deepest emotions. These 2 musicians bring out each other’s special ability to convey deep emotional resonance combined with a bit of hot pickin’, and already have 2 CDs and numerous music festival performances to their credit. Fiddler, composer, producer and educator, Darol Anger is at home in a number of musical genres, some of which he helped to invent. Exceptional among modern fiddlers for his versatility and depth, Anger has helped drive the evolution of the contemporary string band through his involvement with numerous pathbreaking ensembles such as his Republic Of Strings, the Turtle Island String Quartet, the David Grisman Quintet, Montreux, his Duo with Mike Marshall, and others. Emy Phelps is a remarkable vocalist/guitarist, songwriter, music educator, and recording artist, and currently a member of the Furies. A musician of note in the Pacific Northwest, she has made a 30 year music career while raising 3 sons and a daughter. In addition to her current release, Look Up, Look Down, she is the featured vocalist on the new Furies release, and has a previous recording entitled As It Should Be on Sweet Mercy Records. Opening the concert is Arlington’s own Fiddlin’ Quinn and His Big Folks Band. A prodigy on the fiddle, Quinn has been playing, singing and wowing audiences since the age of 5.